Boston Handmade: There's Still Time! Believe it or not, there's still time to get those last minute handmade gifts for your friends and loved ones for Christmas - - but only if you act now and buy local. 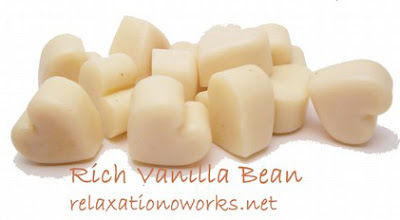 If you're in Massachusetts visit shops of Boston Handmade members - - listed in the column to the right - - and if you live elsewhere you can utilize the newest feature from Etsy.com called Shop Local. Either way you will be getting those unique gifts you are looking for, and supporting hard working local artists and craftspeople. 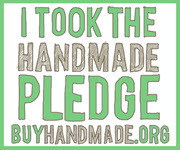 "I found, participated and followed the concept of The Handmade Pledge. More than 10,000 people have pledged to buy handmade gifts or give their own creations this holiday season. I’ve gotten some really cool stuff for the holidays which were all from Etsy shops!!" You can also purchase products made by Kris at her shop, Relaxation Works Skin & Spa Co.
Charity is Melting Hearts Every Where. December in the time for giving. Relaxation Works Skin & Spa Co. is donating 20% of each sale from their Melt My Heart Solid Lotion to Children’s Friend and Services of RI. CFSRI supports families and helps them find the strength to overcome their hurdles. Visit cfsri.org for more information on how you can help.